Non-perishable in-date food is donated by the public at a range of places, such as schools, churches and business, as well as supermarket collection points. It is then sorted into boxes by over 40,000 volunteers, to be given to people in need. Care professionals such as doctors, health visitors, schools and social workers identify people in crisis and issue them with a foodbank voucher. 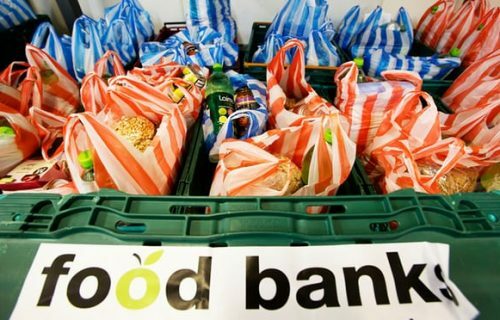 This entitles them to receive a foodbank parcel of three days’ nutritionally balanced, non-perishable food. Foodbanks also offer a lot more than food. Volunteers provide a listening ear to clients over a warm drink, and signpost people to other charities and agencies who can help resolve the underlying cause of the crisis. Foodbanks rely on the support of local communities to help stop UK hunger, find your nearest foodbank here. If your family are struggling, Southwark Carers are a registered food bank voucher provider, please call in to the office to discuss.